The Wilson 1 Seater Sofa With Rocker Recliner, supported with a sturdy solid wood frame, is a must buy for every modern day home. This leather sofa is equipped with an electric recliner with advance European motor technology that makes it an ideal pick for those who love comfort along with luxury. 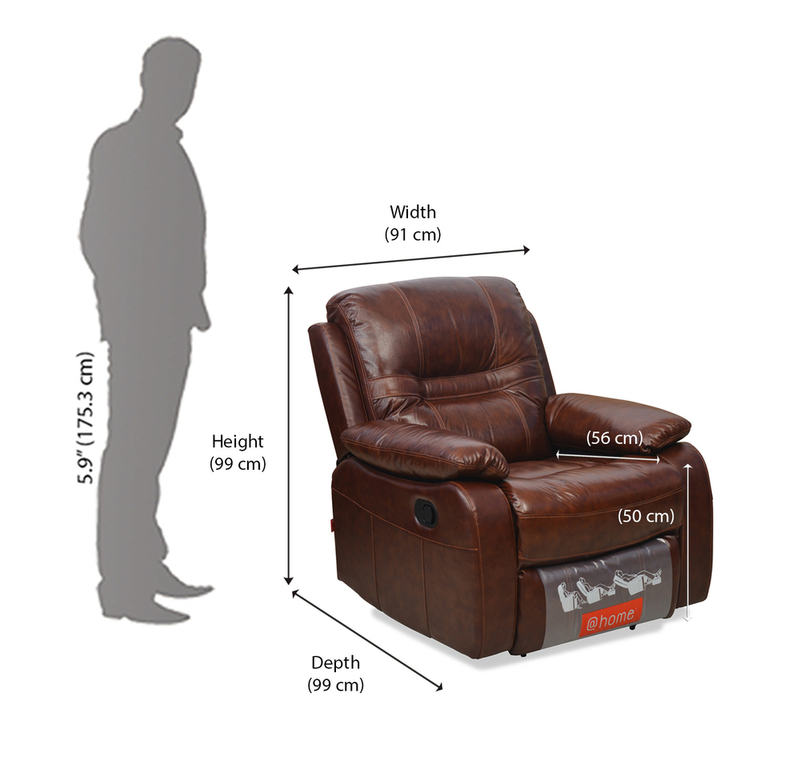 Its wide arm-rests only add to the convenience that this sofa offers. The classy leatherette used as the upholstery gives this sofa the much desired luxuriant look while its caramel colour ensures that it merges with every style of interior decoration, with ease.